With the upcoming release of WordPress 5.0, code named Gutenberg, we have been testing this update on different platforms. What is the effect of Gutenberg with Beaver Builder? The following will show some of the issues that we encountered. 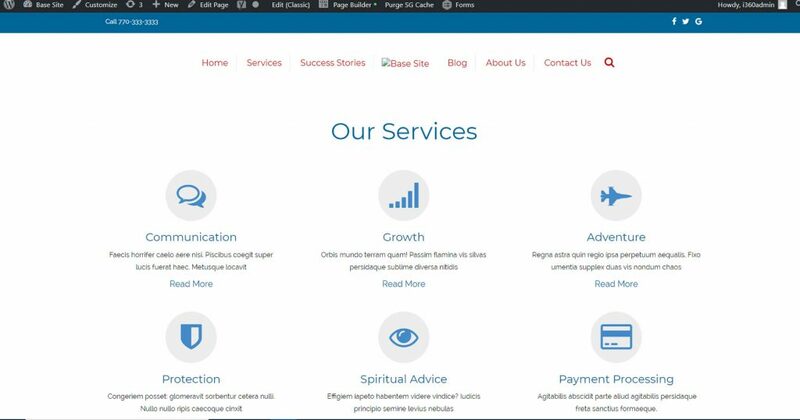 Below is a typical Services Page with three columns, two rows with stylized icons representing the Services, along with some brief text and a Read More link. What we did next for our test was to install the Gutenberg Classic Editor Plugin. 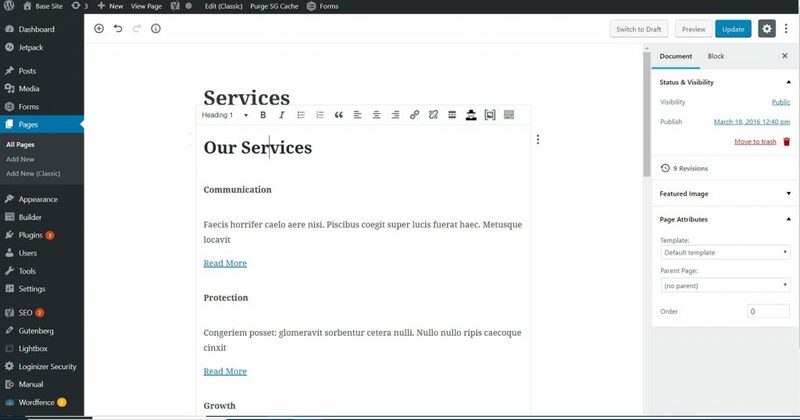 The Classic Editor restores the traditional WordPress editor and makes it possible to use the WordPress plugins that may have conflicts with Gutenberg. We are installing this Plugin on all sites that we Manage for our clients. In the top Admin bar, we now see 3 options for editing the Page. Edit Page with the Pencil icon, Edit (Classic) and Page Builder. Let’s take a look at what happens with each option. Where did our icons go? How do we define the specific column widths? How can I tell what the finished Page is supposed to look like? This does not look like what I had experienced during my training! The documentation my web developer provided does not look like this! I am freaking out! These may be some of the responses from content writers, editors and end users. Their regular process or workflow has changed. What will be the effect on their business due to this unexpected change? How do we prepare for this? Let’s click on the back button and have a look at the other options. Now, we click on the Edit (Classic) option. If you are a Beaver Builder user, this screen looks more familiar. 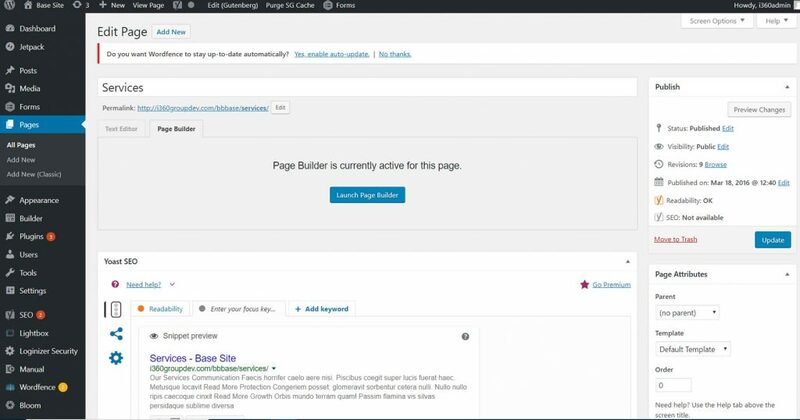 While you don’t actually edit a page from here, by clicking on the blue “Launch Page Builder” button, we will get to the familiar Beaver Builder Page Builder interface. Here, we have our Edit Panel with options for General, Style, Image or Icon, & Call To Action. Each of these options has parameters for customizing or stylizing. This is what a Beaver Builder user is used to working with. Phew. This is also the same experience you will have if you click on the Page Builder option in the top Admin bar! Hooray! The takeaway here is to make sure that the Classic Editor Plugin is installed and Activated. From there, choose either the Edit (Classic) option or Page Builder option when editing a page. While we are fully on board with the changes that are coming with Gutenberg, we will be waiting several months or more before we begin to migrate existing sites or build new sites on this updated platform. We will continue to provided updates on Gutenberg as we continue to test and learn more about it effects. 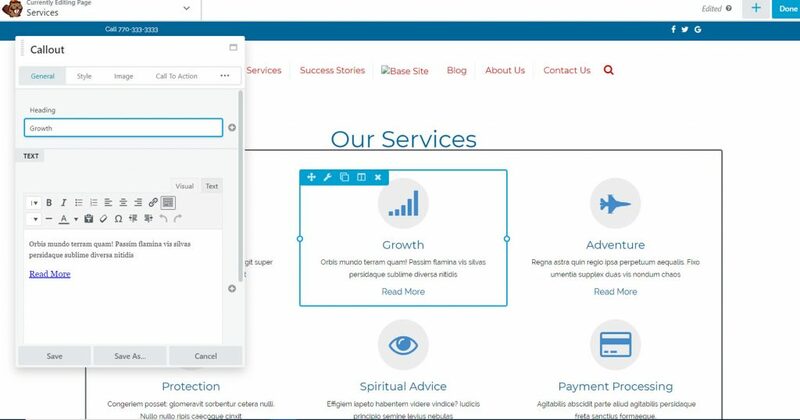 If you have any questions as to how the WordPress 5.0 update, coed named Gutenberg will affect your website, contact our helpdesk@i360Group.com, or use our Contact Us form.